House includes a fully finished basement with 2 conforming bedrooms, recreation room, wet area and full bath. MLS#7330330. WESTSTAR MANAGEMENT CORP. Walk To To Cherry Creek State Park, Restaurants, Shops, Light Rail And Cherry Creek Schools; Kids Can Walk To High Plains Elementary Or Cherry Creek Academy Without Crossing Any Major Street. MLS#3898948. RE/MAX Masters Millennium. Harlem - Great 3 car garage and a paid for Solar system to help with energy bills make this home an excellent home where the buyers can just move in and enjoy! ! MLS#5983604. MB SOUTHWEST SABINA & COMPANY. 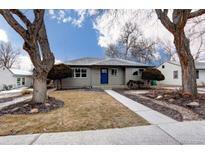 Old Englewood - Location is ideal, near Santa Fe, 285 and the light rail for easy access to the entire Denver Metro Area. MLS#6822460. RE/MAX Professionals. New roof (2015), furnace (2015) and hot water Heater (2015) MLS#4756923. RE/MAX Cherry Creek. Old Englewood - Walking distance to the shops, restaurants and entertainment on Broadway, the Englewood marketplace, light rail station and Swedish Medical Center! Did I say adorable? MLS#6972647. Brokers Guild-Cherry Creek Ltd.. The Hills At Cherry Creek - Just steps to Cherry Creek State Park & award winning Cherry Creek Schools! MLS#8726590. RE/MAX Professionals. Old Englewood - Roof 4yrs old & A/C is 3yrs. MLS#1867980. Keller Williams DTC. Control 4 audio system runs the entire house. MLS#4870289. HomeSmart Cherry Creek. Old Englewood - This home is truly an entertainer's dream and in a location like this...won't last long. MLS#1776956. Colorado Home Realty. Higgins South Broadway Heights - This home is truly an entertainer's dream and in a location like this...won't last long. MLS#4653592. Colorado Home Realty. Old Englewood - This home is truly an entertainer's dream and in a location like this...won't last long. MLS#6888791. Colorado Home Realty. Logandale - You won't want to miss out on this opportunity! MLS#9752942. Keller Williams Integrity Real Estate LLC. South Broadway Heights - There is a 2 car detached garage and a beautiful huge backyard with a nice patio just in time to enjoy the summer sunshine. MLS#5535485. Mile High Luxury Real Estate. Close to parks, lakes, retail, dining and major commuter routes. Littleton Public Schools. MLS#1864689. MB TEAM LASSEN. South Broadway Heights - Homes in this zip code appreciated approximately 6.8% last year. MLS#5778373. Madison & Company Properties. Centennial Acres - Newer paint and upgraded double pane windows throughout. MLS#8200005. Regal Eagle Estate. Leeland Heights - The Large Lot has Plenty of Room for Possible Future Expansion/Garage Addition, 3 Off Street Parking Spots with No HOA/Covenants which Allow for a Variety of Parking needs, Sewer Line was Scoped and both the Clay Pipe and Cast Iron Pipe are in Good Condition. MLS#9142361. Executive Realty Group Inc. Perfect Layout For A Large Family And Great Investment Property As Well! Thank You For Stopping By! MLS#3818031. eXp Realty, LLC.